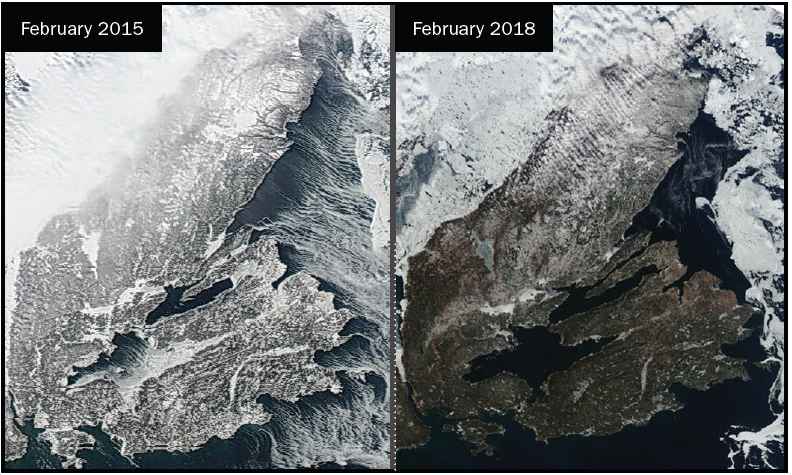 The NASA satellite images above show Cape Breton Island in February of this year compared with 3 years ago. Note the difference in ice cover in the Gulf of St. Lawrence, as well as the ice on the Bras d’Or Lakes. There is also much less snow in the Highlands this year, and the browns and dark green colours of spring are already starting to show through. Thanks to Cape Breton Mesonet for providing the images.